Greetings everybody! Spring is officially upon us and things are heating up! Our fourth climbing course is in progress and doing great. Don't forget those knots... We went up to Camp Muir to check out the conditions and so far everything seems to be shaping up well for the season. 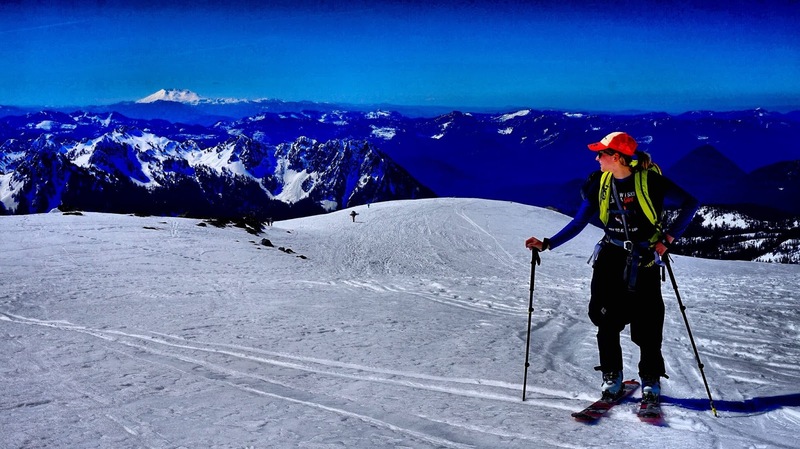 There were several ski mountaineering teams headed up to the summit taking advantage of the sunny weekend. Remember if you make the trip in the next few weeks that the weather can change very rapidly this time of year. Be prepared with some layers and tough outer shells. Also always take more water and food than you anticipate needing. 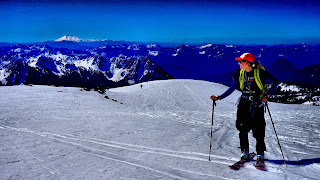 A local snowshoer got caught on the snowfield in the weather and suffered some minor frostbite. Despite the amazing sunny day it can sneak up on you out there. If you want to get ahold of me remember to use the jblmalpineclub email. 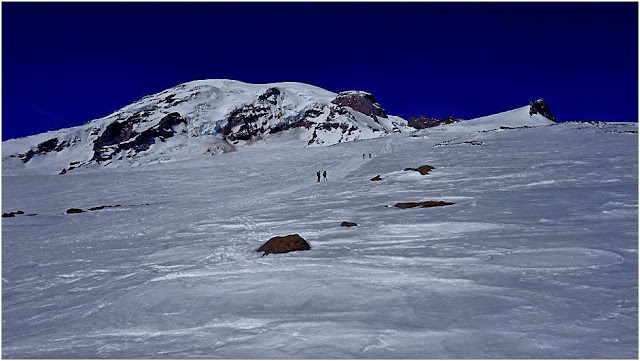 As the season progresses I will be in the office less and less and up on Rainier more. I will try to get any questions and concerns answered as quickly as possible but your patience is greatly appreciated. Of course feel free to stop by the NAC, unless your question is technical in nature most of the staff knows how to get you an answer. Or times are filling up rapidly as people sign up or request blocks of time for personal climbs. If you want a private non advertised climb you should act soon! So far August looks pretty empty but July is getting very busy. As always let us know how to better get you what you want and feel free to ask about climbing on other peaks.